Waiting for what's to come can be thrilling, nerve-wracking, and overwhelming. 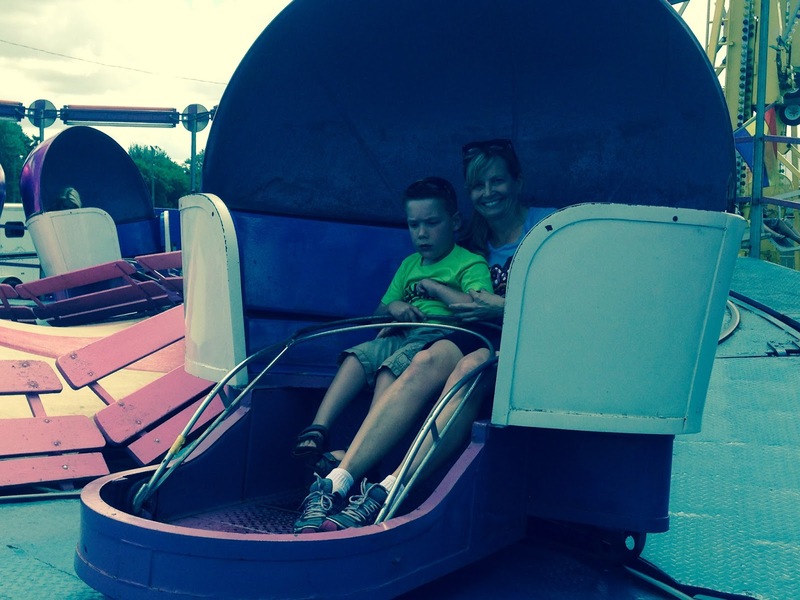 During the week, Michelle and Cam went to a fair where the almost-8-year-old took a ride in his first Tilt-A-Whirl. 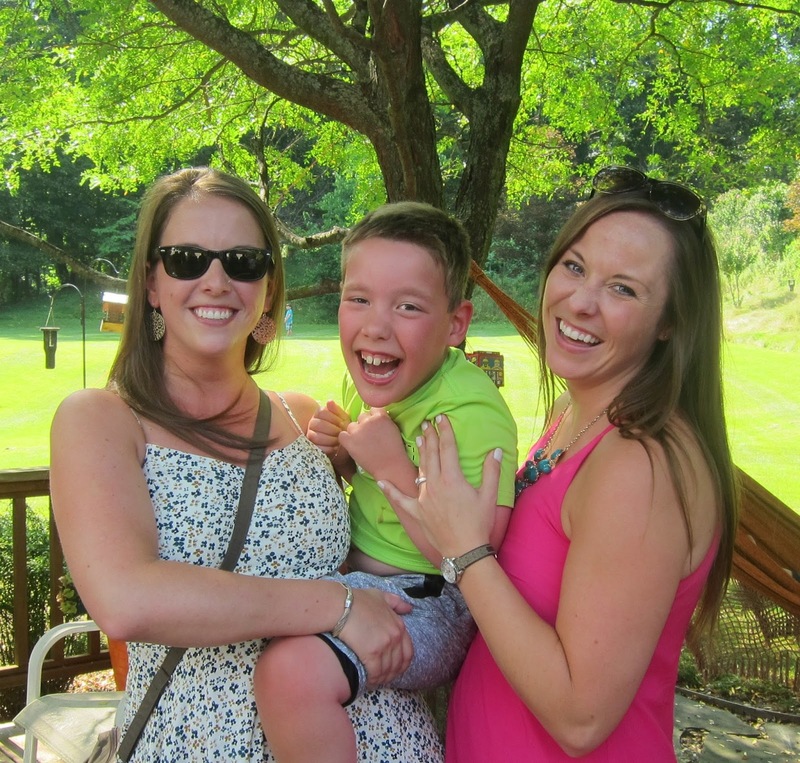 He wasn't quite certain what to expect, but he declared that it was so much fun afterwards! 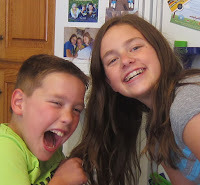 In anticipation of Cam's upcoming birthday, Emma asked us to set up a photo shoot for the two best buddies. She was very specific about what, where, and which poses were to be taken. 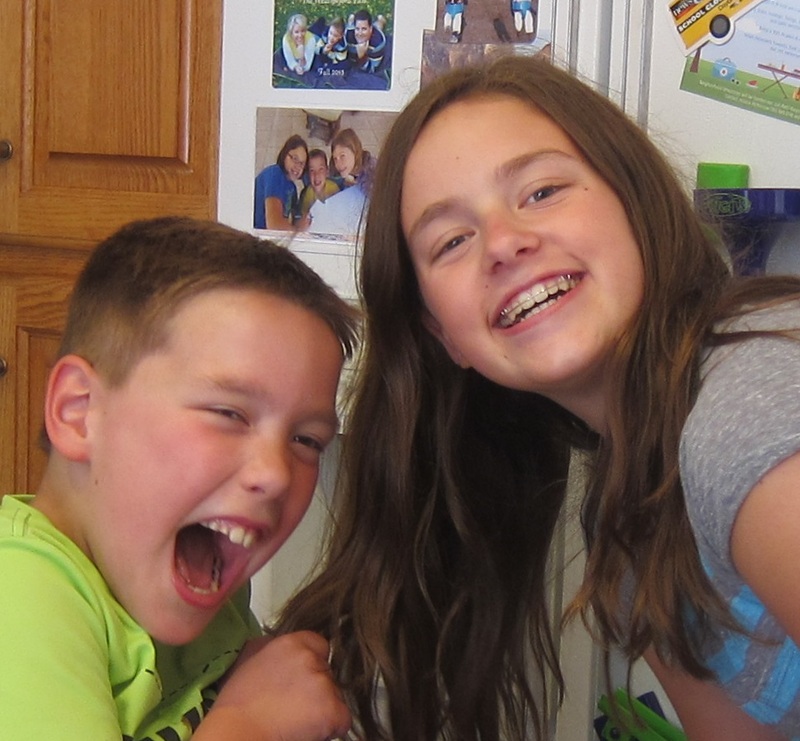 It's so easy to take pictures with this pair because laughter, smiles, and silliness are an absolute given. 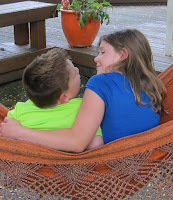 Even though the two pals aren't siblings, the friendship bond they share sure seems that way. The weekend was full of very big plans with the prospect of tons of fun. 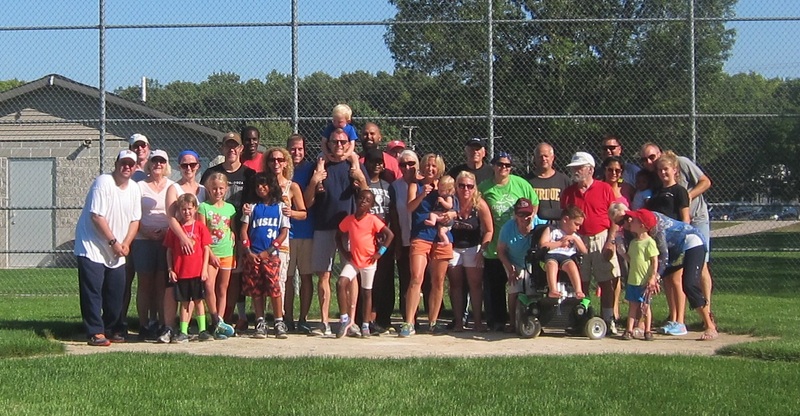 On Saturday, we ventured up north for the 3rd Annual Cousin Harper's baseball game in Montague, MI. It was a beautiful, sunny day and although it was warm, the game was a blast, especially for the younger kids. 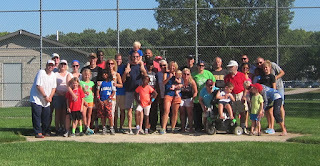 After finishing up the ball game, everyone headed to Fricano's in Muskegon where we gobbled up delicious pizza. Ryke's bday cake- A staple for Cam's birthday! Special thanks for Oma & Opa for the pick-up. 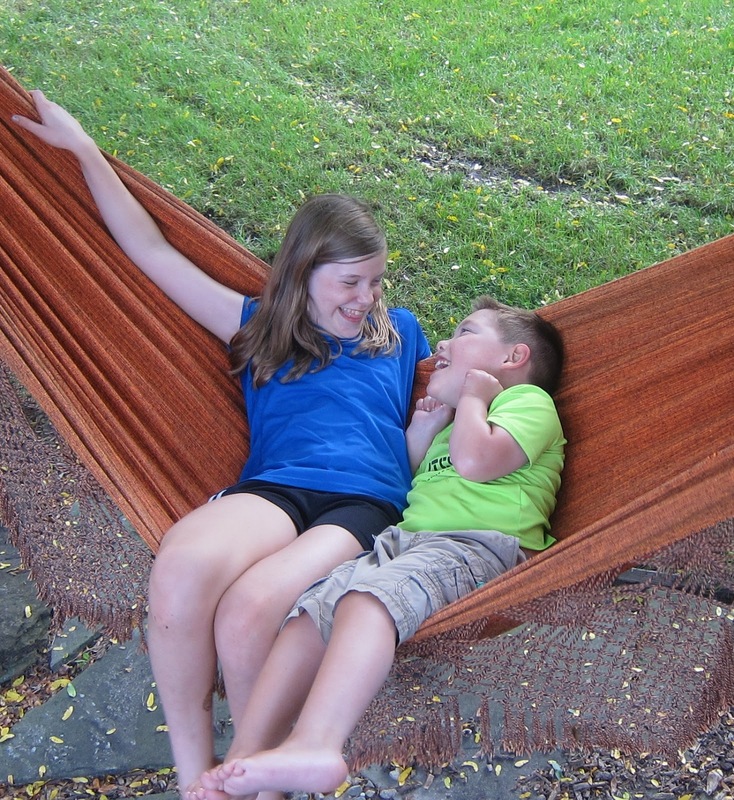 On Sunday, Cam was hosting his 8th birthday celebration (one day before his birthday) in his backyard. His request for the party? Fire truck theme and the food of choice? Breadsticks and ice cream sundaes. You wouldn't think the two go together, but the guests all decided the combo somehow worked. After digging into the Little Caesar's bread and Country Dairy ice cream with choice of toppings, it was time for the kids to take a crack at the fire engine pinata! Each of the kids took two swings every time and after quite a few bats, the candy finally tumbled out! Cam declared that "this is the best birthday party ever!" We can't thank everyone enough for coming and being a part of the festivities. I love the variety of your blog! You and the critter really get around! You make it all sound like so much fun, makes me want to go to those places! Seems like all of you had a great time at the baseball game and also at Cam’s birthday celebrations. The pictures that you’ve shared are really amazing. My husband is also arranging a party for our son’s birthday this weekend at one of the famous venues in Los Angeles. I’m currently out of town and will be flying in for the party.